Exterior Distributed Refrigeration Systems | Zero Zone Exterior Distributed Refrigeration Systems – Zero Zone, Inc. 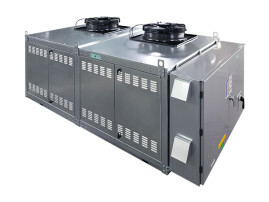 Zero Zone Edge™ XT Distributed Systems are specifically designed to be installed on the exterior of your facility, allowing for more space where a traditional indoor distributed refrigeration system would go. 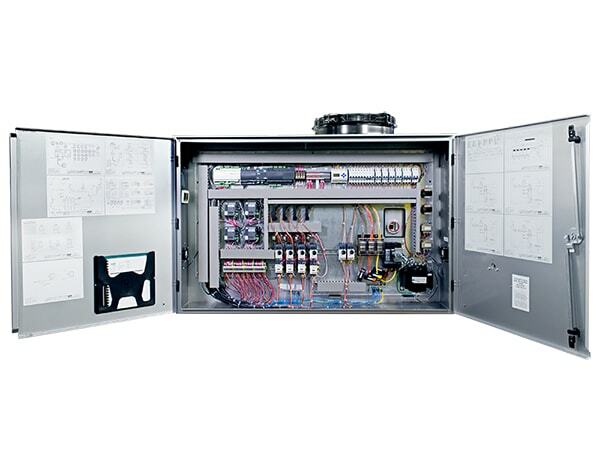 The galvanized exterior, weather-tight control panel, NEMA 3R Electrical Enclosure, and durable hinged doors work together to help protect the equipment from the elements. The Edge™ XT makes efficiency easy. Scroll or Reciprocating compressors optimize operating efficiency and conserve space. The Edge™ XT features integrated condenser coils, available in Fin & Tube, or the optional Micro-Channel design. Top mount fans with single speed or variable speed ECM motors allow for easy accessibility. In addition, with shorter piping runs and fewer brazed joints, distributed refrigeration systems have less refrigerant in the system, providing less opportunity for refrigerant leaks. The Edge™ XT is capable of using less energy thanks to lower suction line pressure drop due to shorter pipe length, and since they use multiple compressors and temperature groupings, better load matching capabilities. 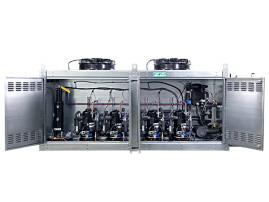 The high-efficiency compressors used in the Edge™ Distributed Systems are one of the most energy-efficient options available. 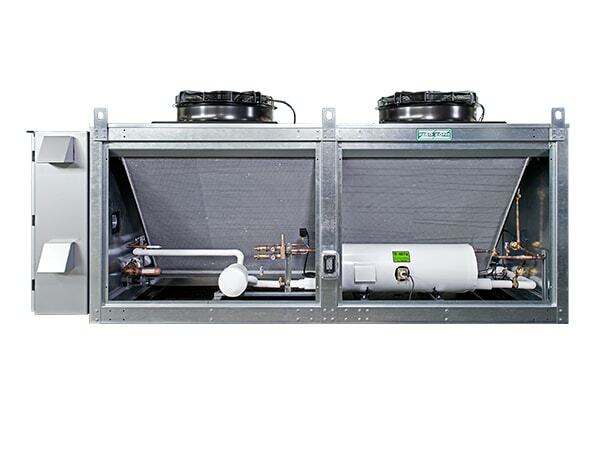 That being said, if you are looking to reduce refrigerant loads and increase efficiency, the Edge™ Distributed Refrigeration Systems line could be the solution for you. The refrigeration system that’s best depends on the application and the needs of each customer. Whether your application requires a heated receiver, 110V GFCI Service Outlet, custom painted exterior, sound attenuation insulation, or a split suction header, Zero Zone is here. We will get you what you need, for the application it’s being used for, in the desired amount of time.